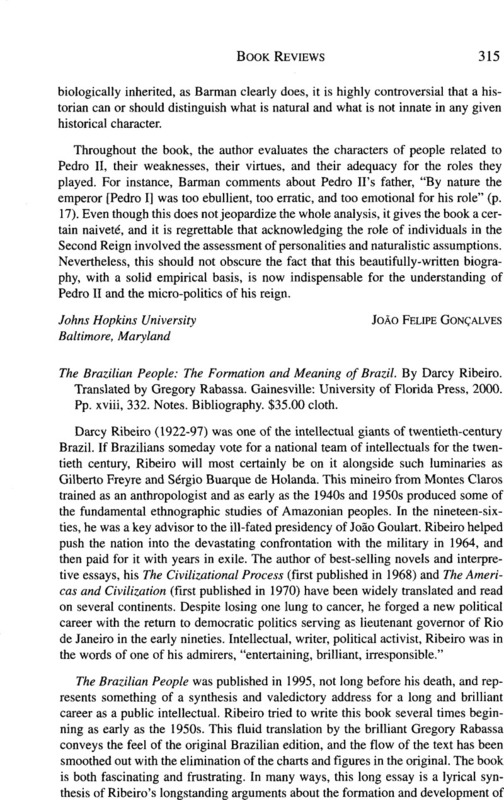 The Brazilian People: The Formation and Meaning of Brazil. By Darcy Ribeiro. Translated by Gregory Rabassa. Gainesville: University of Florida Press, 2000. Pp. xviii, 332. Notes. Bibliography. $35.00 cloth.